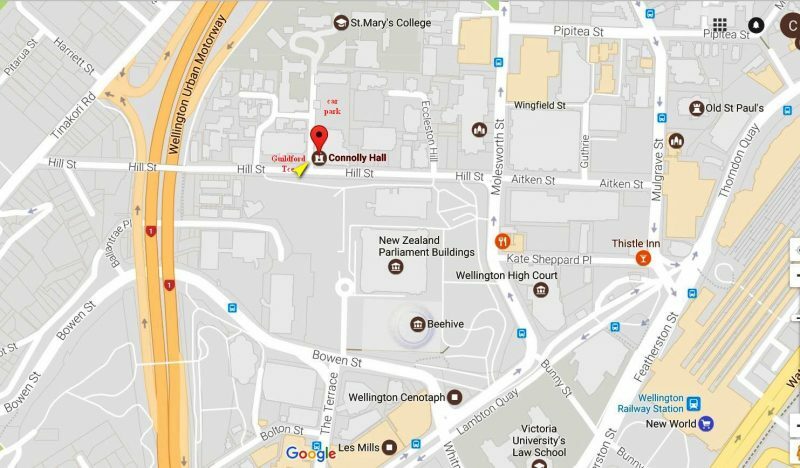 There is a car park up Guildford Terrace beside Connolly Hall. If you would like to attend our branch meeting, please RSVP here with Eventbrite. The link also includes details regarding payment for our optional buffet dinner after the meeting. Jack studied Chinese at Victoria University under NZCFS's very own Duncan Campbell before continuing Chinese studies at Nanjing University. Fortunate enough to have worked with both MFAT at the 2008 Beijing Olympics and NZTE at the 2010 Shanghai World Expo, Jack has since spent 7 years working for Chinese private enterprises in the aviation & video game sectors of Shanghai and Shenzhen. While working at Spring Airlines, Jack developed international markets and opened new routes breaking into secondary airports in Japan, Thailand and Cambodia for the Shanghainese low-cost carrier. At R2Games, Jack built up an in-house video game localisation team that can re-render Chinese video games into seamless facsimiles of English, French, German, Russian and Spanish homegrown games in 3 months flat. Jack is a strong believer in the power of cross-cultural communications to drive mutual benefits and help bridge conflict in complex international situations. His talk will focus more in-depth on his experiences in Chinese software development, tourism, and the public sector as well as the different types of NZ-Chinese connections he has made at a business, digital, interpersonal and intergovernmental level. Currently based in Featherston, Jack splits his time working as a China market consultant and as a facilitator for a local Featherston community-led development programme. He enjoys trail running, cricket, FPS video games and kim chi. At the May Wellington Branch meeting, Councillor David Lee, Portfolio Leader, Technology, Innovation, Enterprise, and Climate Change with the Wellington City Council gave an enthralling and inspiring talk. Wellington’s first Chinese councillor, David’s great-grandfather migrated to New Zealand sometime late in the 19th century, making David’s family a double Poll Tax paying family. Born and raised in Christchurch, David has now made his home in Wellington, and, after holding positions in both central (NZ Defence Force, NZTA) and local government (Greater Wellington Regional Council, former North Shore Council), has committed himself to working on Wellington’s behalf to face the great challenge of climate change and all that it might hold for the city. Taking as his theme “Trailblazers”, David spoke about many of the more exciting developments taking place in Wellington presently, and the way in which the creation of a creative ecosystem will serve to both maintain and enhance Wellington’s reputation as the “Coolest Little Capital”, ensuring that the issues of isolation and distance (what once was regarded as the “tyranny of distance”) work rather to our collective advantage, as we engage more fully with who we are here and the geographical realities of our futures. To many of us in the audience, David represents the best of a new generation of local politician: proud of and knowledgeable about his own family origins, whilst engaged fully with the communities of his ancestors, he refuses to allow them to define or constrain him as he seeks to ensure that the New Zealand story continues to evolve and develop. The Society held its National Conference and AGM in Hamilton on 25 - 27 May. The theme of this year's conference was "Working Together" (mahi tahi), to live out the values of Rewi Alley, the founder and inspiration for the Society. A big congratulations to Hamilton for a successful event and another huge congratulations to those who were voted into the national executive committee. 1103 steps, 51 floors, 30kg of kit, 1 big cause. Congratulations to our National Vice President & Honorary Advisor Luke Qin JP for completing the 2018 Sky Tower Stair Challenge. Luke's time was 19:55, finishing 31st (middle of the pack) in the Firefighter of Steel category. Overall, $1,250,915.31 was raised from the event by 950 participating firefighters for Leukaemia and Blood Cancer NZ. 28 people registered for the NZCFS (Wgtn) and Future Dragonz (Wgtn) jointly-hosted Table Tennis Event on Sunday, 20 May 2018. A wide-range of participants took part in either the social or competitive levels – including: 11 year old, Beijinger, Lezhi Ji (who has only been in the country for 4 months and was the day’s, “Best Young Player”) through to Michelle McCarthy (a NZ table tennis representative) through to Duncan Campbell (our own current NZCFS president). There were players of seven different nationalities on display, including a (not surprisingly) strong showing from the Wellington Chinese recent-migrant community! Much fun and competition was had by all and we hope to hold the event, again, in the future. A special thanks to Rob Chung and the Titan Table Tennis Club (Newtown) for providing the facilities. The city of Laixi is the birthplace of Chinese puppetry and widely considered the hometown of the performing art. During the performance, puppeteers use both hands to control the puppets frm behind the stage. The main techniques for puppeteering includes lifting the puppet, twisting the control handles, and ensuring their feet dance with style. The puppets are 60cm to 100cm tall, and are traditional carved out of wood. The puppeteers of Laixi have a unique way of crafting the puppet's head, using mainly paper instead of wood in order to make them lighter and easier to control. Witness the magic right here in Wellington! Hosted by the China Cultural Centre in New Zealand & the Department of Culture of Shandong Province. Performed by the Shandong Dahanouge Puppeteer Group. The Confucius Institute in Auckland in cooperation with China's Scholarship Council (Ministry of Education) facilitates the selection process for up to 10 New Zealand scholarships for advanced Chinese language study in China each year. The Scholarship covers a full year’s tuition fee, accommodation, medical insurance and a monthly stipend. It is eligible to New Zealand citizens who are currently studying at a NZ tertiary institution or have completed a degree within the past five years at a New Zealand tertiary institution are eligible to apply. It is a wonderful opportunity to experience China and learn the language and culture. Please pass the message to anyone who might be interested in the opportunity. You can also contact the Confucius Institute at info@ci.ac.nz. Diwen Cao, Jean Chua, Michael Dunwoodie, Bing Fon, James Hurley, Maggie Liao, Sam Macintosh, Jordan Ng, & Diana Tam. Janet Andrews, Lesley Chu, Alice Hang, Elisha Hsiao, Haibo Li, Peter Ngan, Rachel Qi, Lily Wang, Vera Xu, Rev Henry Yap, Hong Yuan, & Jun Yuan.